Martin is a senior executive with over 13 years’ experience across digital agencies, and data and technology companies. In addition, he is an MBA candidate that has a proven track record of delivering business results, driving transformational change across organisations, and leading digital campaigns for Australia’s largest brands.Martin is currently the Head of Performance Agencies at Google for Australia & New Zealand, where he is responsible for 75 of the top digital agencies in the country, and oversees $300M+ in revenue. Since starting at Google, Martin has consistently overachieved targets, and exponentially increased Google’s growth rate from 14% to 30% in 18 months. Martin joined Google from Columbus, Australia’s largest Performance agency, where he was General Manager across NSW & QLD. During this time, Martin doubled the size of the business over 3 years, growing from 26 staff to 55. Martin transformed the organisation from negative EBIT and 267% behind budget in 2013, to 95% of budget in just 8 months. In addition, he surpassed 2014 budget by 162%, boosting YoY results by 197%, and outstripped 2015 budget target by 201%. Martin was also recognised as one of 500 top future leaders chosen globally to be part of Dentsu Aegis’ R500 high-potential leader’s program. Prior to Columbus, Martin worked at Experian as the Agency Director after being promoted from an Enterprise Account Strategist. Martin re-defined Experian’s Agency offering and successfully integrated their data solution across the ‘big 5’ Holding Groups. 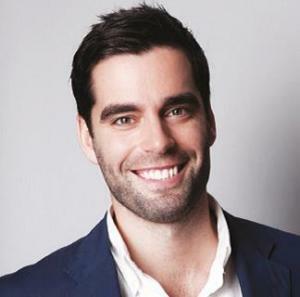 Prior to Experian, Martin worked across a number of agencies where he was responsible for leading digital marketing campaigns across some of Australia’s most influential brands, including but not limited to Virgin Australia, Bupa, Woolworths Group, Carnival Cruises, Mantra Group, David Jones, IAG, Optus, Citibank.